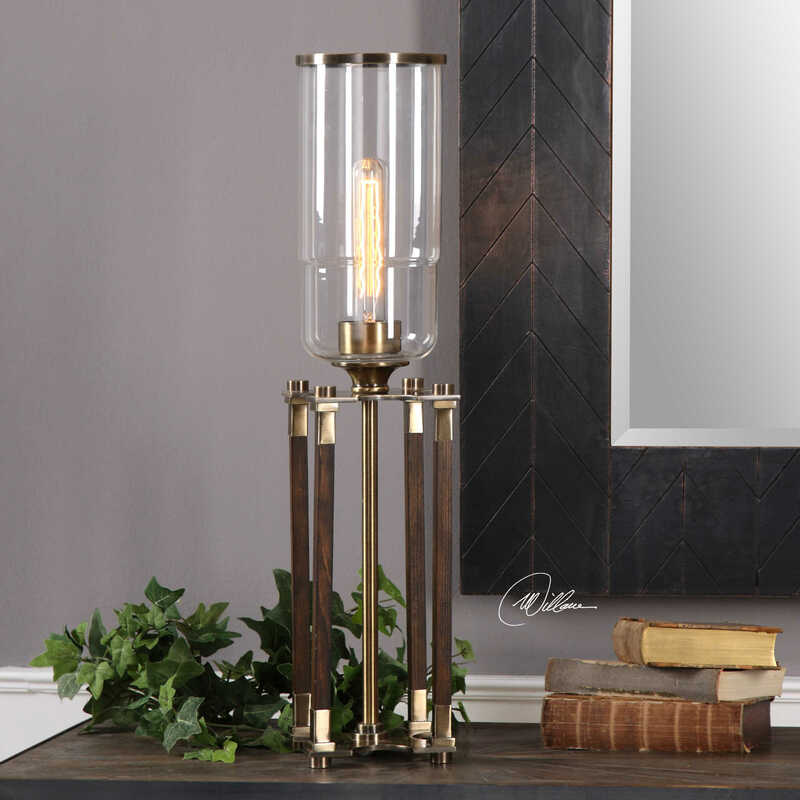 Square solid wood columns with a mahogany stain, supporting thick iron details finished in a plated antique brass. 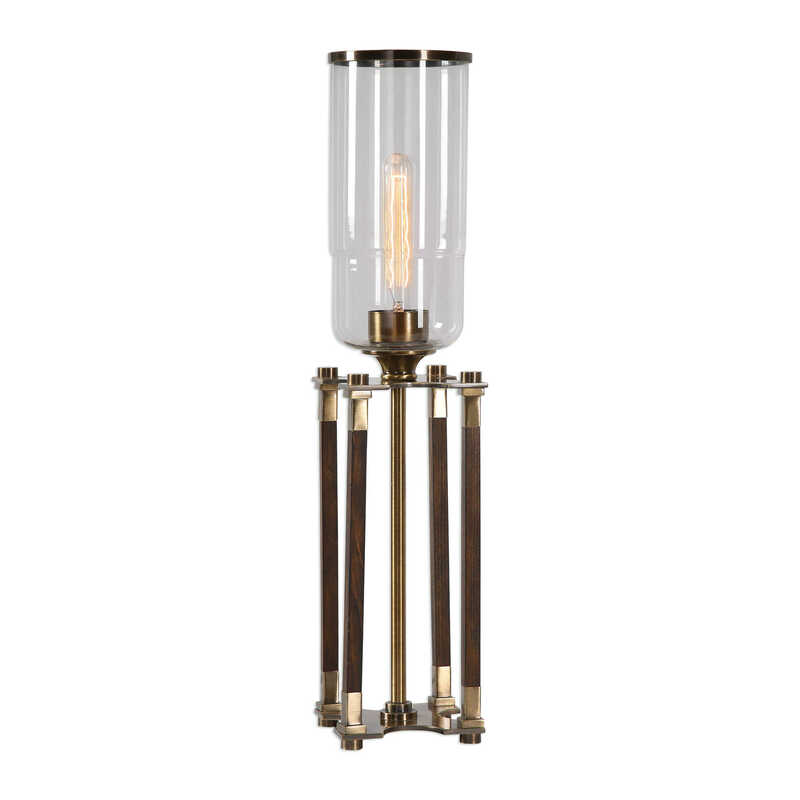 The clear glass hurricane has a subtle transition in size, capped with a coordinating iron trim. 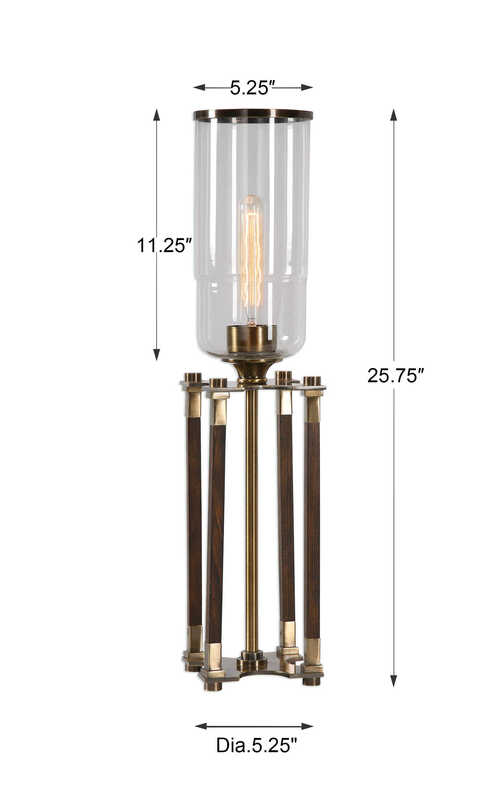 40 watt antique style, T30, tall tubular bulb included.